Brand-new stories by: Nick Petrulakis, Kim Addonizio, Keenan Norris, Keri Miki-Lani Schroeder, Katie Gilmartin, Dorothy Lazard, Harry Louis Williams II, Carolyn Alexander, Phil Canalin, Judy Juanita, Jamie DeWolf, Nayomi Munaweera, Mahmud Rahman, Tom McElravey, Joe Loya, and Eddie Muller. 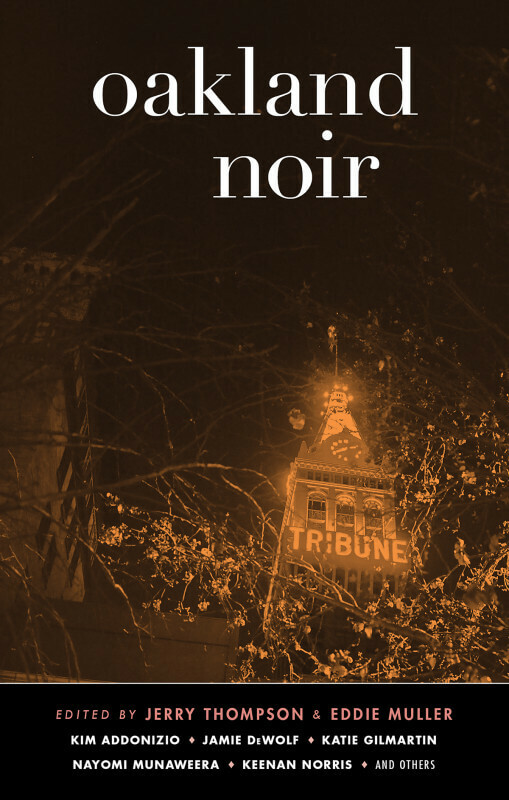 In the wake of San Francisco Noir, Los Angeles Noir, and Orange County Noir—all popular volumes in the Akashic Noir Series—comes the latest California installment, Oakland Noir. Masterfully curated by Jerry Thompson and Eddie Muller (the “Czar of Noir”), this volume will shock, titillate, provoke, and entertain. The diverse cast of talented contributors will not disappoint.